Caring for our oral hygiene is such an important part of taking care of our overall health that it can be easy to take for granted. We follow our dentist recommended schedule for brushing and flossing a minimum of twice a day, and this forms a strong habit in most of us by our adolescent years. For some members of our communities, however, oral hygiene isn’t as easy as brushing twice a day and flossing at least once. For many persons with disabilities, maintaining oral hygiene requires more effort or must be facilitated by a caregiver. For patients with such diagnoses as autism, cerebral palsy, down’s syndrome, muscular dystrophy, spinal cord injuries or stroke to name just a few, brushing and flossing the teeth independently may require additional tools and strategies. Oral care requires a level of fine muscle coordination and mobility that presents challenges when attempting to maneuver the small toothbrush and floss that we typically use for this task. Where grip and dexterity are concerned, there are several things we can do to make it easier to hold and maintain grip of the toothbrush. Large elastic bands can be wrapped around toothbrush handles to make the grip surface larger. If a larger surface area is required, making a hole in a tennis ball and securing it to the handle of our toothbrushes can make it much easier for grip to be maintained and allows easier control of the angle of the brushes. Where longer toothbrush handles are desired, extending the brush using a popsicle stick or ruler provides easier access to the back teeth. People who struggle with small repetitive movements (such as those required for brushing) may find that using an electric toothbrush eliminates the need for consistent movement and allows them to hold the toothbrush in place over the section of teeth being cleaned. Where dental floss is concerned, difficulty holding the floss can be alleviated by tying loops around the ends of the floss and inserting a finger. Alternatively, disposable flossing sticks can be used to floss the teeth with the use of only one hand. People with sensory processing disorder commonly dislike the texture and feeling of brushing and flossing. For these reasons, there are a number of alternatives to traditional toothbrushes and tooth pastes available to assist with managing this discomfort. 2-sided brushes can help cradle the teeth as they are cleaned, for a different sensation or 360-degree brushes can be used to promote effective stimulation of the cheeks, tongue and gums while brushing the teeth. 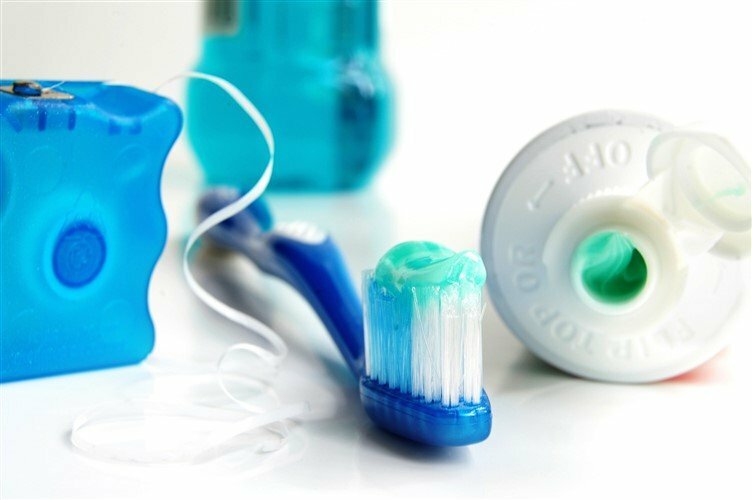 If toothpaste is not tolerated, your dentist may be able to recommend a professional alternative such as a toothpaste formulated for use with patients with autism who no not tolerate the ‘minty’ flavour. Since many of our patients with disabilities have comorbid (or concurrent) diagnoses, they may be prescribed a number of medications and be on them for an extended duration. Since some medications can impact the teeth and gums, it is important to place priority on oral hygiene and to see your dentist regularly. If oral hygiene is difficult to maintain, sugary drinks and other foods which promote tooth decay should be avoided, or only consumed along-side a meal. When providing oral care as a caregiver, it is helpful to perform these routines in a well-lit area. It can be helpful to brush and floss the teeth when the child, family member or client is well rested and not in an agitated state. Since dental hygiene often presents a challenge, it is important to realize that with consistency and encouragement, the discomfort associated with brushing and flossing can decrease with time. Chemical options to reduce tooth decay such as prescription toothpastes may also be available through your dentist. Communication strategies remain among the most important parts of caring for anyone with a disability. Even non-verbal persons can benefit from reassuring touch, a smile and a calming voice. Using a calm voice builds trust and can decrease the resistance felt on the part of the person you are caring for. Telling them what you are doing, as well as what will come next helps them to anticipate sensations and predict when the process will be complete. Often, counting back from 10 to 1 and then providing reinforcement (great job!) can be helpful for each step, as it lends predictability to the overall process and engages them in the process! 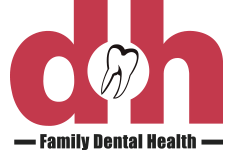 If you have questions about how to support someone with disabilities in their oral care, we encourage you to solicit their input at your next visit. Many dentists have many resources and techniques that can be offered, as well as any occupational therapists who may also be involved in the care of persons with disabilities. Together we can find strategies and techniques to offer the best dental experience possible for our patients with disabilities.